Afghanistan, Austria, Belgium, Brazil, Bulgaria, Canada, Costa Rica, China, Cuba, Czech Republic, Denmark, France, Germany, Hungary, India, Israel, Italy, Japan, Kazakhstan, Republic of Korea, Malaysia, Mexico, Mongolia, The Netherlands, Poland, Romania, Russia, Saudi Arabia, Slovakia, South Africa, Spain, Sweden, Switzerland, Syria, United Kingdom, United States, Viet Nam. Its members completed at least one orbit of the Earth in spacecraft. ASE promotes international cooperation for Near Earth Objects deflection and is active in the United Nations committees to find a global agreement to deal with hazardous objects. ASE maintains Observer Status at the United Nations Committee on Peaceful Uses of Outer Space and on the UN Economic and Social Council. ASE also closely works with the UN COPUOS to develop an international response protocol for potential Earth-impacting asteroids. ASE participates in the International Astronautical Federation Space Exploration and Life Sciences committees. ASE seeks to stimulate interest in Science, Technology, Engineering and Mathematics (STEM). 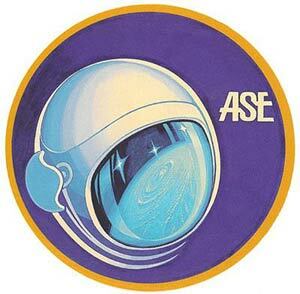 In 2013, ASE initiated an international scholarship fund to support STEM and space education worldwide. Moreover, ASE provides opportunities for its members to share their knowledge and experience with the general public – for instance, during the Congress Community Day – and inspire tomorrow’s explorers – the world’s children. As the only professional association for space fliers, ASE supports the promotion of space exploration by providing space professionals opportunities to communicate at the international level. Its members collectively commit to promote space exploration and demonstrate how necessary the development of an international cooperation on spatial activities and exploration is. ASE works to expand and invigorate the international dialogue on crew safety, space relief operations, human performance and the potential hazards of the near Earth objects. ASE provides its members with opportunities to share their unique perspective of Earth to help stimulate Humanity’s sense of responsibility for our home planet. ASE activities in support of environmental awareness include the Windows on Earth project, the ASE Near Earth Object mitigation effort, the publication of the international best-selling book The Home Planet and the sponsorship of environmental films and projects.